You can always be reassured on the event we organize. Upon arrival our specialist has already been waiting for you at the carefully prepared venue. At the venue where everything is in the right place where everything is working properly where you can really be a guest of your own event. Our goal is not only to save time and money for our clients but to present them with the experiences of really memorable and successful events. Organize a conference together! Apply for an international conference! Start your own conference! The MultiGo Conference Organizer team helps you in the background! Do you know that you can be "creative" in a "classical" conference? What do we think? Let us say what we offer in our offer! Our creativity guarantees that in addition to conference programs, we also undertake corporate events, training courses and training. We give individuality to each event! Please respect your confidence and take the first step. Try us with a bid inquiry! Provision of professional information, transfer, reception, personal communication and communication. Who knows best for the profession? Tin! Who is the professional organizer of the conference. High-quality, interest-inspiring performances attract the participants. An intriguing program with a targeted, updated guest list! What do we need to succeed? Provide material and personal conditions, select the appropriate quality of services and services, and coordinate it for the smooth running of the conference. Do not get rid of energy for daily organizing tasks. Save time with your multigo conference server team! Our team works with proven quality. We worked with "young conference organizer foxes" with high-level expertise in conferences and conferences with excellent young professionals. Creativity and flexibility are ours. Let us have many years of experience based on your trust in you. When will the conference reach its goal? If the participants and the organizers were satisfied, expectations were met. The conference is a career tourism with quality services. Organizing is also a profession. In addition to organizing the services, we also undertake full contact with the participants during the full conference organization. The entire scope of our travel office services serves the comfort of our guests. You can always be reassured on the event we organize. Upon arrival our specialist has already been waiting for you at the carefully prepared venue. At the venue where everything is in the right place where everything is working properly where you can really be a guest of your own event. No need to organize, nor plan anything just attend and take care about what is really important – we have paid attention to everything else. Pursuant to the concept developed in accordance with your requirements and having your corporate culture and characteristics in sight, we pay attention to provide proper programs ensuring successfulness of your event. Our mission is to organize meetings and events which not only meet your expectations but surpass them. Concerning your meetings & events we attach importance to be able to help you reach your objectives, maximize saving opportunities and increase transparency in your spending. Therefore, whether you would like to host an exlusive business dinner or arrange a big-time international conference, our consultative experts will collaborate with you from the planning stage of the event based on your unique requirements in order to find the proper venue and program suiting its characteristic and topic the most. Furthermore we will assist you to review your organization’s existing M&E policy and identify areas of opportunity for cost savings, risk mitigation and process improvement. Personal assistance of our prepared experts and several years of experience along with the well-established industry contacts make our meetings & events smooth and successful. The more can be less. How can you cut your costs without compromising your standards? How can you raise the standard of your meetings & events without increasing their costs? In co-operation with its international and domestic partners DSC Europe can guarantee to provide you with a wide variety of premium services at a considerably low price thanks to its diversified source portfolio and its numerous contracted room nights. We explore the best selected venues, organize and execute your meetings & events for you at a very favorable price. So you can always be rendered tried-and-true, high quality services below the industry price level. Our company also deals with entry and entry. It is not a problem for us to travel or travel to Hungary. We undertake business lunches, meetings, conferences or weddings both abroad and in the country. We continuously train our staff, we update our offer with the latest offers every day so we are up-to-date and quick to handle all our old and new passengers, guests and customers. If you would like to travel to Hungary, we will surely find the most suitable source and program for you. If you are looking for a company, to take the pressure down from your shoulder organizing a company event, a meeting, a business dinner or lunch, or simply organizing a gala event, you are at the right place. Our company offers a comprehensive - but not superficial - solution to everyday problems with which an event or a trip can take place. We will not be disappointed with the efficient and fast cooperation of our experienced staff. Put your party experience to good use by planning, designing and throwing events for private and corporate clients. 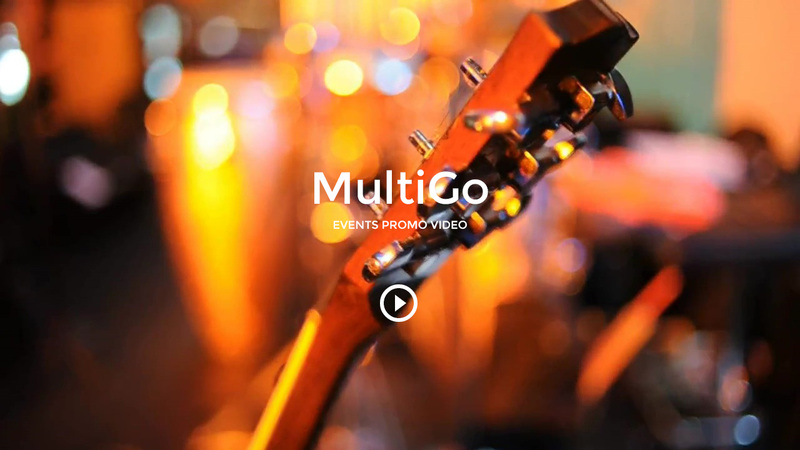 Get into the event and party planner business with us from the MultiGo list of entertainment & events business ideas. Other services which are essential for a well-organized event: beautiful hostesses, photographer, video recording, arranging performers / shows / announcers / speakers / music bands / singers / dj's and transfers etc. Too much insecurities? Do not know where and how to travel? When will you organize your corporate conference or where? Let our colleagues help you decide. Today, travelers who want a well-planned vacation but don’t want to do the planning can find a travel agent who caters to exactly what they’re looking for. Agencies often handle transfers between multiple destinations, event planning services, group travel arrangements and more. Working with a travel agent can help take the stress out of travel. Multigo Group Inc. has been participating on the International Market of Event Management, Tourism Industry and Educational Market since 2002. This organization has gained lot of experience and has a professional staff, which had been selected from experienced people from the industry.